Bitcoin depends on Peer-to-Peer (P2P) network in a major way and shares the connecting IP address list with the nearest peer. In addition, the blockchain which is the basic technology can be accessed by anyone, and the transaction stored in the block can be checked anytime. Recent research has reported that anonymity of such a bitcoin P2P network is low, regardless of whether peer uses the anonymizers like TOR to keep the anonymity. This fact shows the risk of the malicious users being able to use this public information without exception. However, when the malicious user is hiding behind the network and browsing public information, it is difficult to distinguish between a malicious user and a honest one, and it is a challenge to detect signs of hidden threats. 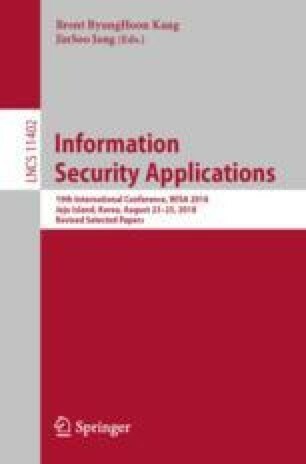 In this research, we propose a data mining approach to analyze by combining two kinds of IP address distributions: Bitcoion peer and malicious node (not in the bitcoin network), in order to obtain characteristics of hidden users. As a result, we confirmed that the nodes, which matched the first 24 bits of the IP address in the bitcoin network peer, sent the packet to the darknet. The contribution of this paper is three-fold: (1) we employ a novel approach to analyze a bitcoin network using Darknet dataset, (2) we identify the malicious node in the same network as the honest peer, and (3) we clarify the network deployments of Bitcoin peers and malicious nodes.